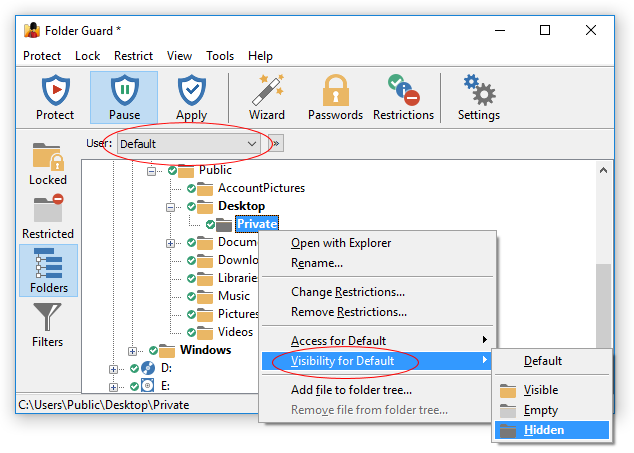 Folder Guard makes it easy to protect folders with passwords. 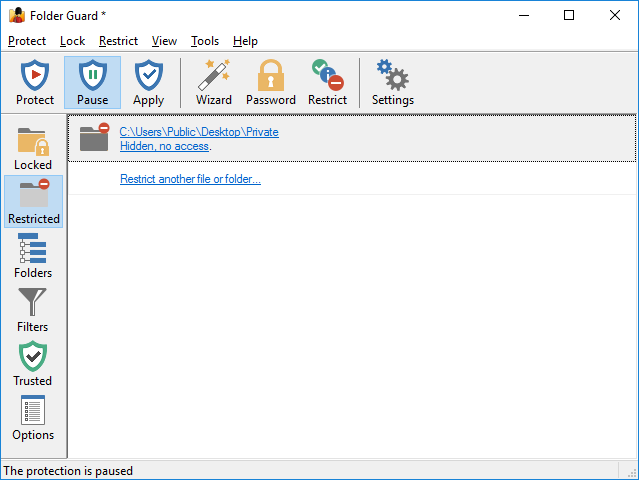 However, what if you want to hide a folder completely, to make it invisible for other users of your computer? 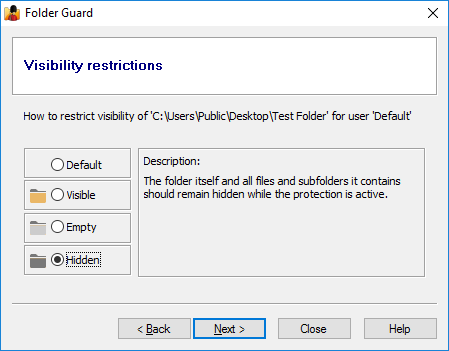 Now apply the changes and resume the protection, if necessary, and try to locate the folder with Explorer or another program: the folder should not be visible in the regular file listings! 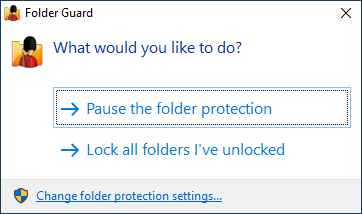 When you pause the protection the folder should become instantly visible. (You may need to press the F5 key within the Windows Explorer window, to make it refresh the list of folders it shows). And more! Please feel free to download the fully functional evaluation version and give it a try. If you don’t like it, use Windows Control Panel to uninstall it: no strings attached.